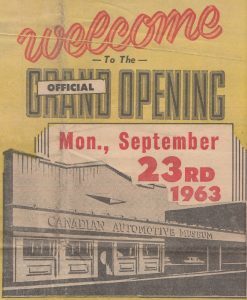 The Canadian Automotive Museum (CAM) has been driving its automotive collection forward since opening day on September 23, 1963. Each car has a story, and its history remains parked in the museum. While many people’s favourite memories about CAM may be the cars on display, Ted Rundle, 68, can’t say the same. 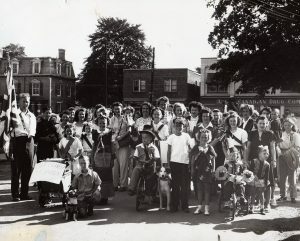 In 1962, his father, Dr. Ed Rundle, bought the building the museum now occupies, which, from 1935-1960, was the Anglo-Canadian Drug Company. “It smelled like pharmaceuticals, it was unbelievable,” Rundle says, noting the building was completely empty upon his first visit. Something else caught young Rundle’s attention: the freight elevator. The elevator has been a part of the building since the first known tenant, The Jackson Motor Company, in 1921. It was also useful for Ontario Motor Sales, who later occupied the building from 1924-1931. 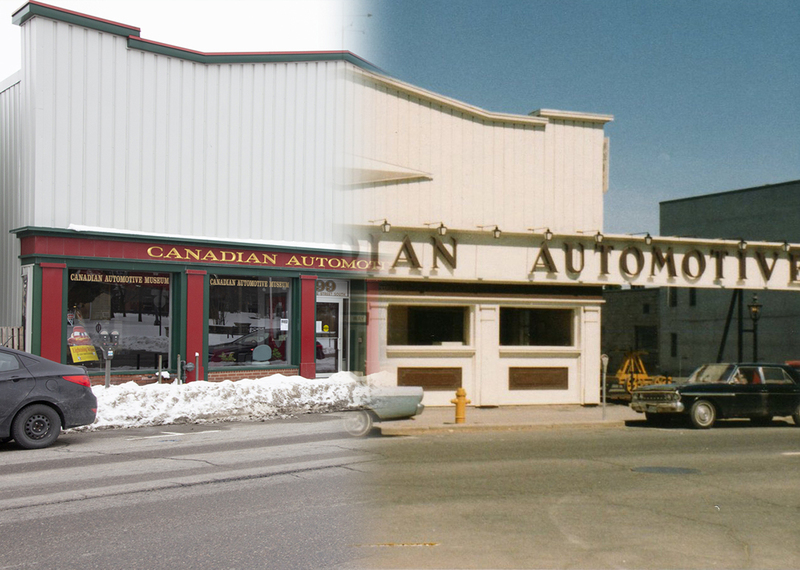 The upper level was the showroom, ground level the service centre and the basement was storage for parts. “We used to go into that, slide the gate shut, and we’d go up and down in the elevator as little kids,” Rundle says with a grin, noting it’s his favourite memory of the museum. The elevator is still in use today, and helps to move vehicles on the second floor. Dr. Rundle bought the building as an investment, and rented it to CAM until 1968, when the museum was able to buy it from him for $125,000. The then-town, now city, of Oshawa was able to raise $105,000 for the purchase of the building, and R.S. McLaughlin donated the remaining $20,000 needed. The current parking lot of CAM was, at one point, Dr. Rundle’s practice and home. It was also the building Rundle was born in. The museum was a project of the Oshawa Chamber of Commerce, which it shared the building with until the Chamber relocated in 1973. While Rundle did not attend opening day at CAM, Bob Schmidt, 71, did. “I don’t remember how many cars were in here, but I remember being impressed,” Schmidt says. He attended opening day with his father, who worked at a car dealership. Over the years, he would make the trip from Orillia to visit the museum while his wife shopped in the Oshawa Centre. Schmidt has been a tour guide at CAM since 2013, after he retired as a teacher and moved from Orillia to Oshawa. As for Schmidt’s favourite memory, it involves family too. “Bringing my sons here. They’re both gear-heads like me, they both love cars,” he says with a smile. Schmidt’s sons are both engineers, and he thinks coming to CAM had an impact. “I think they got their love of that partly from coming to The Canadian Automotive Museum,” he says. 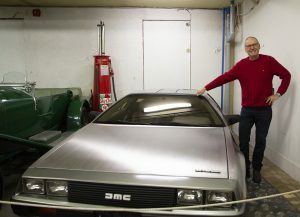 While Schmidt seems to know almost every car inside and out, he does have a favourite: The DeLorean. “Sadly, John DeLorean was a very tall man, and so am I, so I can’t fit in the car,” Schmidt says with a laugh. Like Schmidt, Rundle first visited the museum with his father, but in 1964. “It was really cool going through it, some of the cars were just awesome,” Rundle says. Not only did Rundle play in the building as a child, he has also donated some items to the CAM. Recently, he donated lantern slides of Chevrolet cars. Despite the slides being black and white, Rundle says some of the cars were hand painted different colours, such as red, blue and yellow. 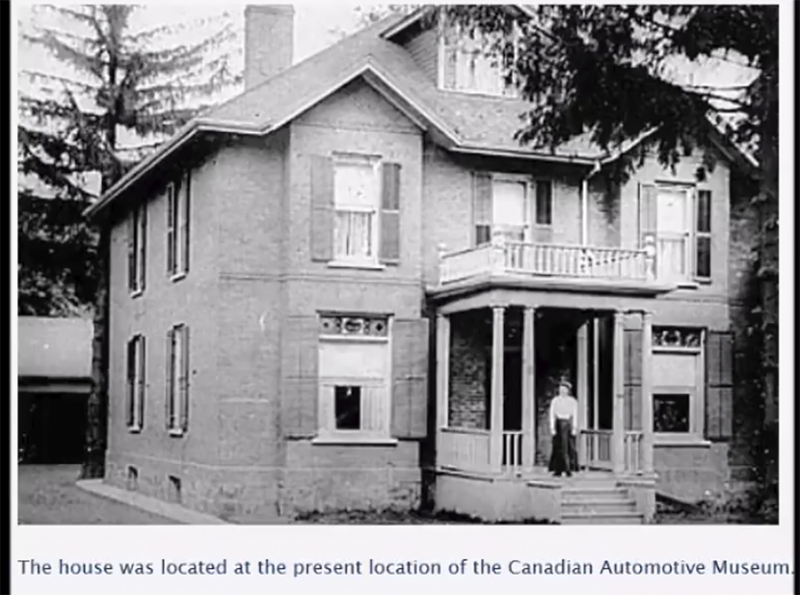 Rundle’s grandfather, Colonel Frank Chappell, was the first engineer in Oshawa and helped convert and set up the Chevrolet division at General Motors (GM). Rundle also donated a film clip of his grandfather with the 1,000,000th car coming off the GM line. CAM has seen an engine upgrade in recent years, in part because of curator Alex Gates, who started in 2014. “I’ve certainly learned a lot, we’ve been working to connect the museum side with the functional side of caring, operating and maintaining historical motor vehicles,” says Gates. While many museums have smaller pieces that are easier to display, CAM faces a unique challenge of having a larger and heavier items. “We have fewer objects, but they tell bigger stories,” Gates says. 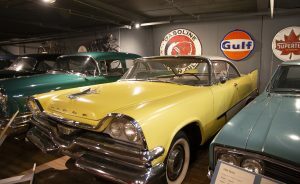 Although Canadian is in the museum’s name, there are a variety of cars on display. “That was a decision they made back in the 60s, to not just be the Oshawa or the GM, to not just have a local scope but to tell more of a national scope in terms of the stories,” Gates says. 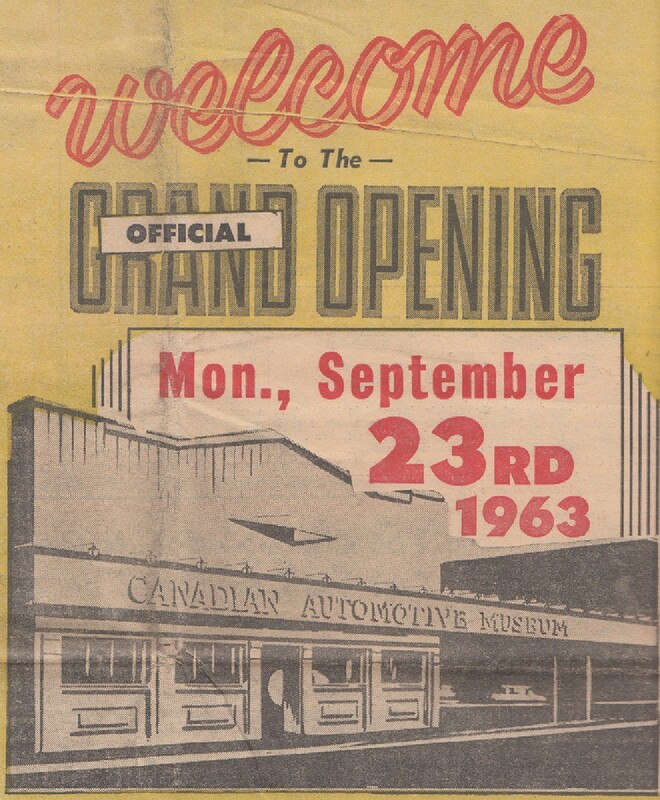 However the history of McLaughlin Buicks and GM is an integral part of Oshawa’s history. The archivist at the Oshawa Museum, Jennifer Weymark, says CAM has played an impactful role in the development of the City of Oshawa. 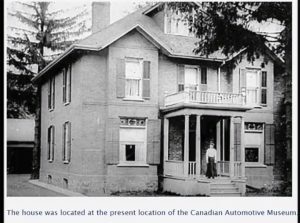 “Oshawa has a long history of manufacturing and the automobile industry was arguably the most important industry in Oshawa for a very long time,” she says. In recognition of that, efforts were made to expand and improve the museum in the 1970s. A relocation was also pushed, to be closer to Highway 401. The site was meant to be the current GO Train parking lot. The efforts were in hopes of increasing attendance. CAM hoped to adopt the name AutoCanada, and with its hopes came a $3-million price tag and as a result, support diminished. By 1982, the plans were cancelled. The museum renovated the front lobby and the entire building was used for the museum. But the brakes weren’t put on after that. In 1986, the museum received cars from the Craven Foundation, whose parent company manufactured tobacco products. In 1995, the museum acquired another 20 cars from the collection of John McDougald, a Canadian business tycoon. The newest car CAM has on display has three movies under its belt. Lightning McQueen from the Pixar animated movie Cars is on lease and displayed at the museum, among the older models. Gates says the collection at the museum is unique since it didn’t come from one collection, and as a result can tell multiple stories about the cars. “To show these cars off as not being factory examples that were put in a box for 100 years and then unveiled here, but having had lives and being driven places, and stored in garages and washed, adding that human element,” Gates says, adding that information is a lot more interesting to people, a sentiment echoed by Schmidt. “You like to see that spark when people get something, you know? So doing the tours is really great because you get to tell the stories of people who owned the cars, and the cars themselves,” he says. Even though it’s been a bumpy road, CAM continues to drive forward. In 2017, it received a Canada 150 Community Infrastructure grant for various upgrades and maintenance on the building itself. Special guided tours are held during specific holidays, such as Valentine’s Day and Halloween, to emphasize the human story the collection tells. From selling and repairing the newest models, to housing a collection which brings a city together, The Canadian Automotive Museum has definitely made a round-trip. Previous articleCan a German prison of war camp be a young girl’s happy memory?